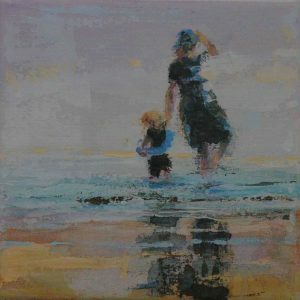 "Homeward Bound" is an original painted in acrylic. 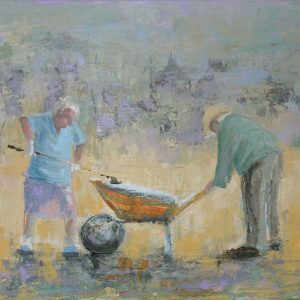 "Never too Old" is an original painted in acrylic. 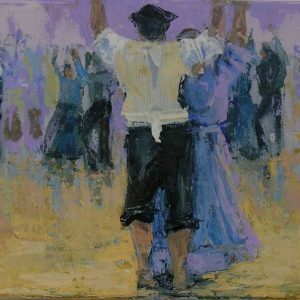 “Portuguese Dancers” is an original painted in acrylic. 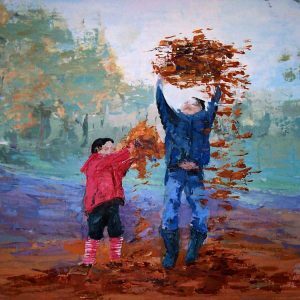 Also available in prints and cards. 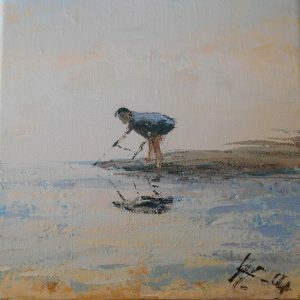 "Sifting for shells" is an original painted in acrylic. 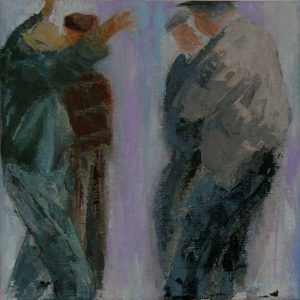 "The Conversation" is an original painted in acrylic. 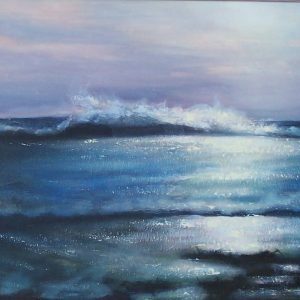 Also available as prints or cards. 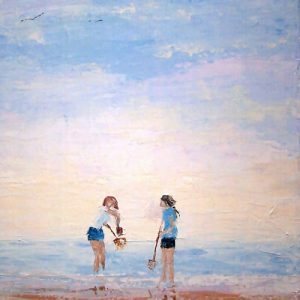 "The crab line" is an original painted in acrylic. 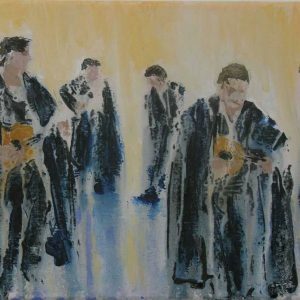 "The singing students of Coimbra" is an original painted in acrylic. Also available in prints and cards. 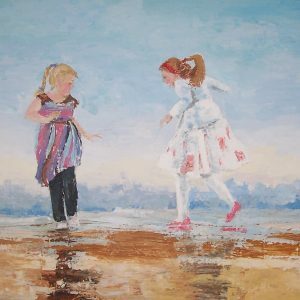 "Too Windy To Wade" is an original painted in acrylic. 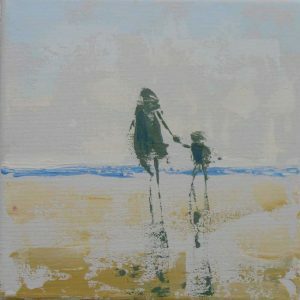 Also available as prints or cards.